A former soldier is to be charged with murdering a teenager, who was shot twice in the head in Londonderry during the Northern Ireland Troubles. 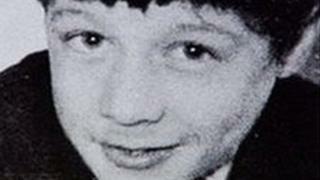 Fifteen-year-old Daniel Hegarty was killed in an Army operation near his home in the Creggan in July 1972. Last year, the High Court ruled a decision not to prosecute, taken in 2016, was based on “flawed” reasoning. The Army veteran, known as Soldier B, will also face a second charge of wounding the teenager’s cousin. The move has been welcomed by the Hegarty family. The Director of Public Prosecutions, Stephen Herron, informed the Hegarty family of developments at a private meeting. He conducted a review of the case following the court ruling. Mr Herron said he believed the evidence “is sufficient to provide a reasonable prospect of conviction”. In reaching the decision, he added that he had taken Soldier B’s ill health into consideration. An inquest in 2011 found Daniel Hegarty posed no risk and was shot without warning as the Army moved in to clear “no-go” areas during Operation Motorman. His cousin, Christopher Hegarty, 17, was also shot in the head by the same soldier, but survived. In respect of the older youth, Soldier B will face a charge of wounding with intent. In a statement, the Hegarty family said: “This has been a long journey. It has taken 47 years to finally get the state to do the right thing. “We urge anyone fighting for justice never to give up. A total of six former soldiers are now facing prosecution over Troubles-era killings. The cases relate to Daniel Hegarty; Bloody Sunday; John Pat Cunningham; Joe McCann (involving two ex-soldiers); and Aidan McAnespie. Not all the charges are murder. The Public Prosecution Service said that of 26 so-called legacy cases it has taken decisions on since 2011, 13 related to republicans, eight to loyalists, and five are connected to the Army.